My kids are now 8 and 12. Their summer interests are as varied as they are. They mostly want to spend the summer enjoying a break from the modern pressures of school and harried carpool structure. But like many or most of us, with the summer spread out before them, they have big dreams for what can be accomplished in the next three months. My son wants to build as many Legos as he possibly can, while playing as much Wii as I will allow him to experience during long playdates with his pals. His older sister has started off with grander dreams, with written out schedules down to the quarter hour. She has bargained with us to motivate her with $10 if she completes a math review workbook during the summer. She plans to memorize one poem a week since we give her a dollar for every poem over 20 lines she memorizes (So far, she has memorized “The Road Less Traveled.”). She does brain exercises and yoga. She has elaborate plans for balloon fights, lemonade stands, and a project involving clothespins, glue and magnets. She keeps up with her hour-a-day piano lessons and finds time to read voraciously on her Kindle. The project, however, that I love the best is her “We didn’t start the fire” deconstruction. 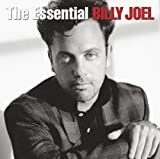 After hearing the old Billy Joel song a dozen times during car trips and using it to fuel discussions on American and world history, my wife and I challenged our daughter to figure out what every line and reference means. My daughter loves learning, but she loves money as well, and promptly said, “How much will you give me?” I did rough calculations in my mind: there must be at least a hundred or more references in that song, each requiring at least a sentence or two to explain its context. I offered $50 which seems puny in comparison to the size of the task. At 12, I had barely the motivation to put on my shorts during long, hot Minnesota summers. She wants to take on understanding the latter half of the twentieth century as a break from school. I’ve already warned her that “Suez Canal” can’t be just “canal at Suez.” Each description has to long enough so that someone who doesn’t know could also understand what the name or term means and why it’s important. This exhausts me just thinking about it. If there’s a lesson in all of this it’s in letting kids set their summer agendas and finding things that motivate them. I couldn’t have imagined how full and varied her summer would be until she wrote out a list of the 30 things she wants to accomplish. If she does even half of them, it will be impressive, though she has to finish the workbook, the poems, and the long, long Billy Joel project if she wants to score the cash.